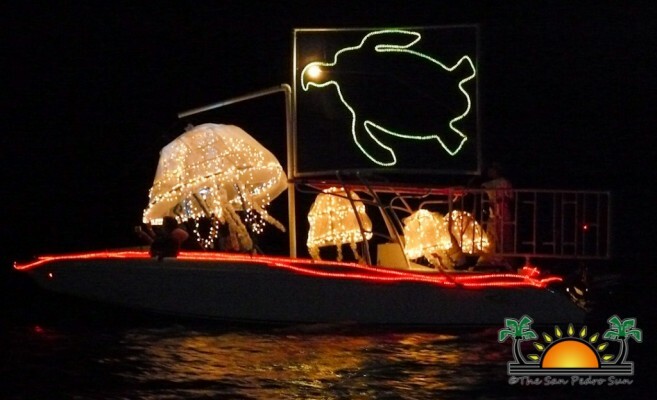 This year the San Pedro Holiday Lighted Boat Parade will be held on Saturday, December 7th. This traditional event heralds the holiday season and leads us into the holiday spirit with a fun event filled with twinkling lights, children's laughter, Christmas carols and a spectacular night time boat parade spanning from Wayo's Beach Bar to the north and the Caribbean Villas to the south - with amazing viewing spots everywhere in between. This year promises to be as well attended and enjoyable as each preceding year has been. We look forward to many regulars participating and invite new entrants to join the fun. There are prizes in a number of categories for decorated boats, including most original and most religious and the Mayor's choice with the coveted trophy cup. The block party in Central Park will feature our favorite charity fundraising booths as well booths with local artists, and food booths offering seasonal food and drinks from renowned local restaurants. Booth rental applications will be available starting November 18th at the San Pedro Business Association (SPBA)office. This year all schools are again invited to participate in the Christmas carol recitals, and a prize shall be awarded for the best school choir. Please submit an application along with the two songs the school will be performing to the committee. DJ Habo shall be our master of ceremonies and will keep the crowd in the holiday spirit while we listen to carols, watch the boat parade go by and of course enjoying the Central Park Block party award ceremony after the parade. The SPBA San Pedro Holiday Lighted Boat parade committee invites all businesses and individuals in the community to consider donating to the event or offering sponsorship to ensure that this event is successful and that the tradition may live on. And of course all boat owners and organizations are welcome to enter a boat in the parade and competition. Please contact the SPBA for more details on how you can be a part of this wonderful event. If you would like to submit an idea for this year's commemorative t-shirt please email us before November 20th or drop it off at the SPBA office upstairs across from The San Pedro Sun on Front Street. We look forward to seeing everyone enjoying this holiday event and more details shall be published over the upcoming weeks.